Terms. Recom Electrical Services currently employs over 250 full time staff, across our state based offices around Australia. Chris Bakes is the service manager in Melbourne. Welcome to the Recom Electrical Services Web Site ("Site"). Please review the following basic rules that govern your use of our Site. Please note that your use of our Site means that you agree to and accept all of these rules. We may at our discretion change these rules. If you use our Site following any such change, then you acknowledge that you accept and agree to the rules as amended. 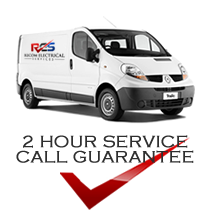 These rules apply to this Site only and not to any other Site or business activity of Recom Electrical Services. Recom Electrical Services recognises that it must maintain and use customer information responsibly. The information collected by Recom Electrical Services is used to help us respond to client inquiries and also helps in determining what services are relevant to our clients so we can better market our Site. We may also use customer information/feedback for marketing and promotional purposes. You may not reproduce, transmit, distribute, display, publish, modify, create derivative works from, participate or sell in any sale of, or exploit in any way, in whole or in part, any of the Contents, the Site, or any related software. While no online transaction is 100% secure, Recom Electrical Services strives to protect your personal information to the best of its ability. We use 128-bit encrypted software for processing saleable items. All comments, feedback, ideas, suggestions and other submissions disclosed, submitted or offered to Recom Electrical Services on or by this Site or otherwise disclosed, submitted or offered in connection with your use of this Site (collectively "Comments") shall be and remain Recom Electrical Services's property. Such disclosure, submission or offer of any Comments shall constitute an assignment to Recom Electrical Services of all rights, titles and interests in all copyrights and other intellectual properties in the Comments. Thus, Recom Electrical Services will own exclusively all such rights, titles and interests and shall not be limited in any way in its use, commercial or otherwise, of any Comments. Recom Electrical Services is and shall be under no obligation to maintain any Comments in confidence or to pay to any user any compensation for any Comments or to respond to any user Comments. You warrant and agree that no Comments submitted by you to the Site will violate any right of any third party, including copyright, trademark, privacy or other personal or proprietary right(s). You further warrant and agree that no Comments submitted by you to the Site will be or contain libellous or otherwise unlawful, abusive, offensive or obscene material. You are solely responsible for the content of any Comments you make. You agree that Recom Electrical Services may use and/or disclose information about your demographics and use the Site in any manner that does not reveal your identity. Recom Electrical Services shall not be liable for any special or consequential damages that result from the use of, or the inability to use the Site for any reason whatsoever, even if Recom Electrical Services has been advised of the possibility of such damages. You agree to release, indemnify and hold Recom Electrical Services harmless from and against any and all claims, damages, costs and expenses incurred or suffered by Recom Electrical Services arising from or in any way related to your use of the Site and you agree to pay all solicitors incurred fees. You also agree to release Recom Electrical Services in the event of any virus or disabling feature entering your computer system which results in loss or damage. The use of this Site shall be governed by and construed in accordance with the law of the time being in force in the State of Victoria, Australia and the parties irrevocably submit to the jurisdiction of the Courts of that State including any Courts having appellant jurisdiction. This Site may contain links to outside services and resources, the availability and content of which Recom Electrical Services does not control. Any concerns regarding any such service or resource, or any link thereto, should be directed to the particular outside service or resource. In an attempt to provide increased value to our visitors, Recom Electrical Services may choose various third party web sites to link to from its own site. However, even if the third party is affiliated with Recom Electrical Services, Recom Electrical Services has no control over these linked sites who each have separate data collection practices, independent of Recom Electrical Services. Recom Electrical Services has no responsibility or liability for these independent policies or actions and is not responsible for the privacy practices or the content of such web sites. These linked sites are only for your convenience and you therefore access them at your own risk and you release and indemnify the Recom Electrical Services in respect to your use of such sites. Recom Electrical Services does not represent that any information (including any file) obtained from or though this Site is free from any computer viruses or other faults or defects and it is your responsibility to scan any such information for computer viruses. Recom Electrical Services will not be liable to you or to any other person for any loss and damage (whether direct, indirect, consequential or economic) however caused whether by negligence or otherwise, which may result directly or indirectly from any such information or the provision thereof. To the extent that any applicable law that cannot be excluded imposes any liability on Recom Electrical Services, that liability shall be limited to the cost of resupplying that information.